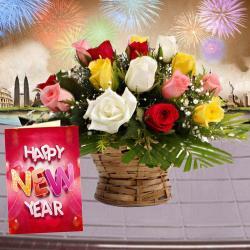 Product Consists : Bouquet of 12 Red Roses with some green fillers in a cellephone wrapping with a matching bow, Branded Bottle of Wine, Cadbury Celebration Chocolate Box (Weight :118 gms) along with New Year Greeting Card. (This product can not be delivered in Gujarat as it has been declared as 'Dry State'). 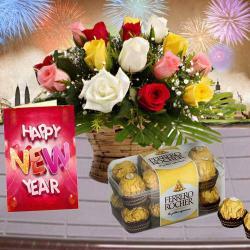 If you are looking for a sumptuous hampers to treat your loved ones with on New Year, then look no further. 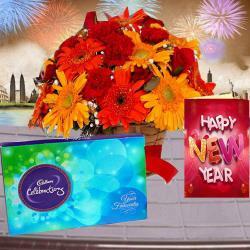 This is a classic gift hamper that consists of a bunch of 12 exotic red roses, a bottle of branded wine, an awesome chocolates Box from Cadbury Celebrations that contains assorted divine chocolates and a wonderful New Year Greeting card. 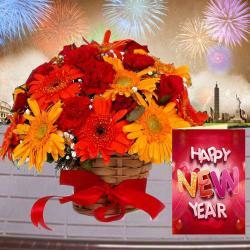 It is an ideal hamper to make the New Year celebration of your loved ones a memorable affair. 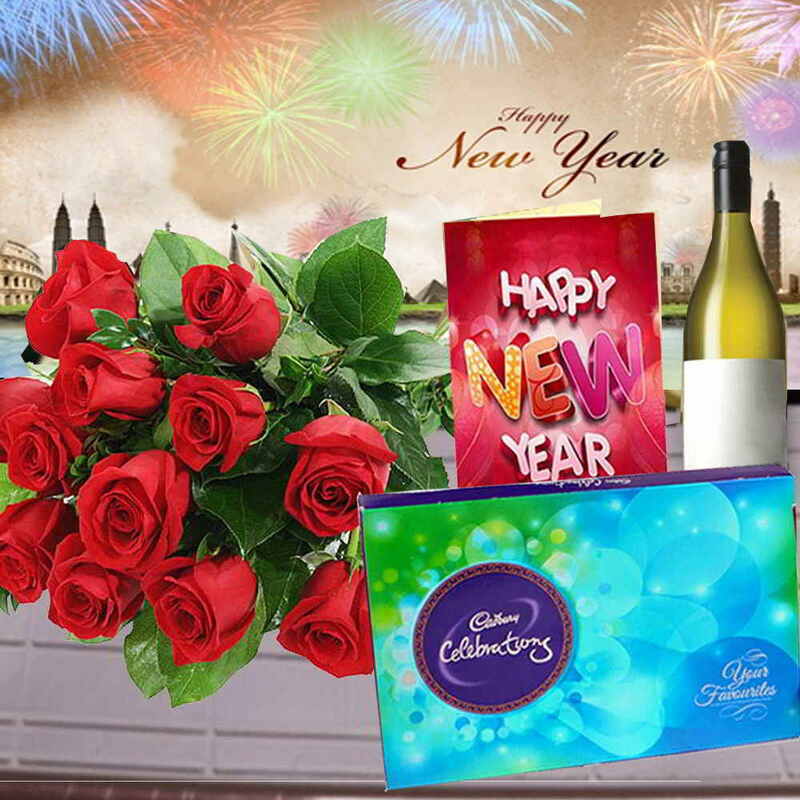 Product Consists : Bouquet of 12 Red Roses with some green fillers in a cellephone wrapping with a matching bow, Branded Bottle of Wine, Cadbury Celebration Chocolate Box (Weight :118 gms) along with New Year Greeting Card . (This product can not be delivered in Gujarat as it has been declared as 'Dry State').